The diagram below shows an inverted triangle of circles. 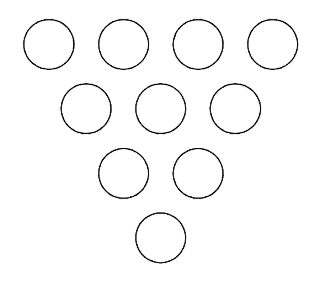 Inside each circle, you need to place a number according to the following rules. 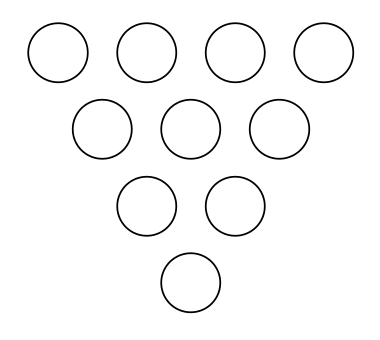 Start at the top row of four circles and insert a different prime number inside each one. The number inside each of the other circles is chosen using the two circles immediately above it. Firstly, find the sum of those two numbers, then add 1 and subtract 1 from this total so that you have three numbers to choose from. For example, if the numbers are 13 and 17, calculate the sum (30) and then add and subtract 1 from this to get 31 and 29. You thus have the three numbers: 29, 30 and 31. In this case, two of the numbers are prime number – 29 and 31 - so you have a choice as to which one you place inside the empty circle. Continue in this manner until you reach the bottom. The puzzle is how to fill the diagram with ten prime numbers, using the rules above, in such a way as to get the smallest possible prime in the last circle at the bottom of the triangular grid. What is the value of this smallest prime number in the bottom circle? Just to clarify, your four starting primes along the top row must all be different. However, the final solution may have numbers that appear more than once. You may also like to start with this slightly easier version. If you could pick any prime numbers along the top row, and if you are allowed to repeat the same number multiple times, using the same rules to create each new circle what is the smallest possible prime in the bottom circle?